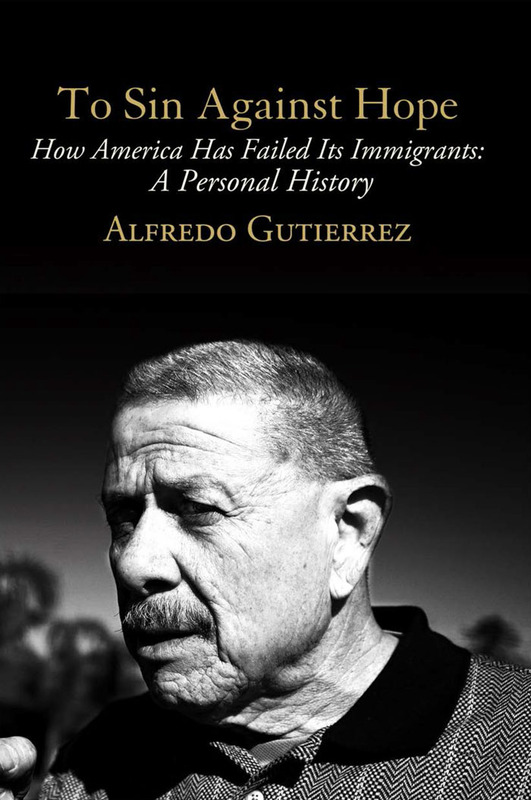 Former Arizona state legislator and immigration reform activist Alfredo Gutierrez recently appeared on Phoenix Channel 12's Sunday Square Off to discuss the convergence of the personal and political in his recent book To Sin Against Hope: How America Has Failed Its Immigrants. I was motivated to write the book because there is such ignorance, not only among Latinos but folks in this country about America's unique relationship with Mexicans in the United States, and with immigration policy vis-a-vis Mexicans in the United States, and there continues to be a concerted effort in [Arizona] led by General Horn and by public superindentent hupenthal to keep the public in ignorance, fighting any attempt to visit this unique history of America and Arizona. ...I think young folks in particular ought to understand how this notion that we are failed people came about and the degree to which we are complicit in that perception.